It was lovely to take time out after a client meeting in London to visit the new Design Museum. The stunning new development on High Street Kensington is something to behold with both permanent and temporary exhibitions exploring the history of design. We visited the thought-provoking “Hope to Nope: Graphics and Politics 2008-18” as well as the permanent “Designer – Maker – User” display where it was interesting to find out more about the thought processes of the world’s greatest designers. 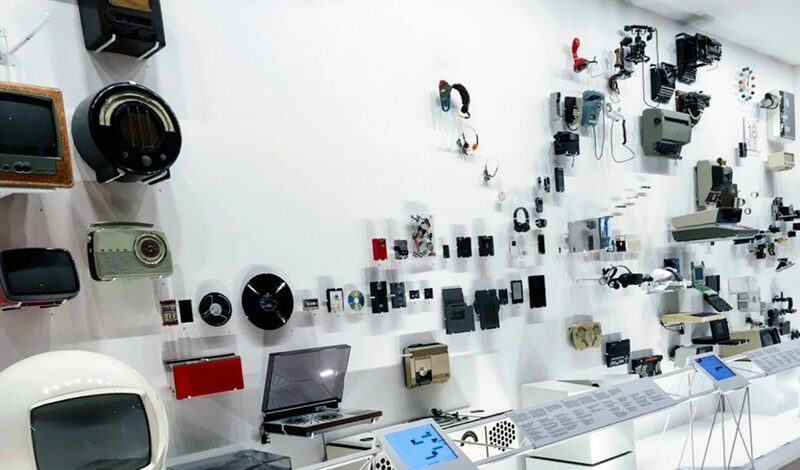 Our favourite was the display wall of product design classics including telephones, record players, clocks and computers. The point being that we now carry all of these with us thanks to them being incorporated into a single pocket-sized device. Graphic Designer and Director of Designworld Ltd. Over 25 years experience in the design industry, including 16 running my own business.